Gemstone Leaf Necklace. Peach Turquoise Layering Necklace. 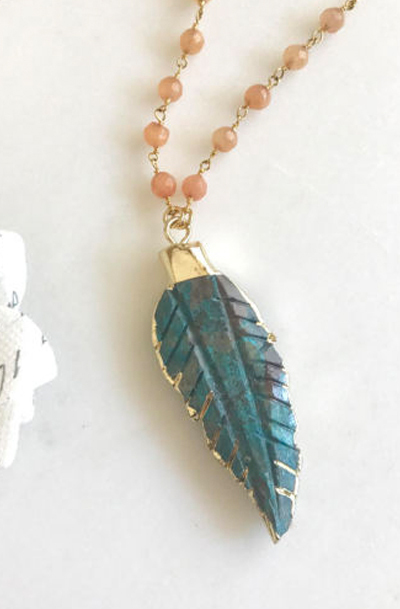 Long Stone Feather Necklace. Beaded Necklace. Jewelry. Boho Jewelry.